One interesting compact power bank that doubles as a useful flashlight from Xiaomi that can be turn out to be quite useful gadget to keep in your car or bag wen you travel. The 3250 mAh Xiaomi Mi Power Bank Flashlight does not come with that big charging capacity, but you can also use the device as a flashlight with a 3W LED that has 11 levels of adjustable brightness and an SOS signal function. This power bank comes in a good looking compact aluminum body and an easy to use flashlight function that can be activated by turning the front of the device around. Specifications wise with the small capacity battery and the 5V/1A input and output you should to expect too much from it, though it can really be helpful in emergency situations to save the battery of your smartphone or actually to save you in case of real emergency where you can use the flash light functionality. 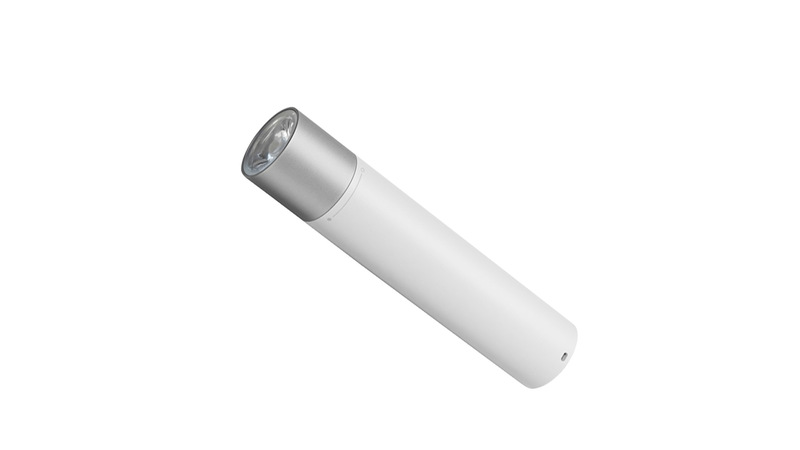 Since the 3250 mAh Xiaomi Mi Power Bank Flashlight is rated at 5V/1A output we have tested the battery at constant current load of 1A and the performance we get is quite good. The discharge curve looks great – stable at 4.85V voltage across the board and with close to 2000 mAh usable capacity. These little gadget is quite handy, though do to expect to have a full charge of the battery of your recent smartphone that may actually have a battery with twice that capacity, still it can help when you are in a pinch. And to tell you the truth we actually fell in love with the combination between power bank and flashlight in terms of functionality and the design and build quality of this device.